Recent climate reports revealed the need to focus on protecting our environment now more than ever. 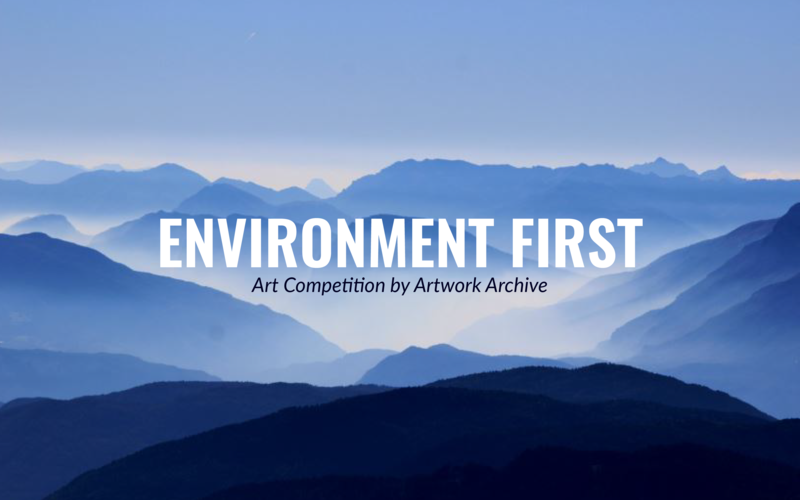 To illuminate this important issue, Artwork Archive is hosting a call for artists to submit work that captures their existing natural landscape or addresses the climate and environment in some way. It’s easy, and it’s FREE. Just head to the entry page on Facebook to get entered in minutes! It’s open to artists worldwide, ages 18 and older, and all mediums are accepted. Be sure to pick your best piece representing climate change because only one entry is accepted per artist. Artwork Archive is always looking to strengthen local art communities around the world, so winners will receive gift cards to the local art stores of their choice! And, you have double the chance of winning because there are two categories for artists to win big, People’s Choice and Artwork Archive’s Choice! In each category, first place wins a whopping $300 in value. Second and third place aren’t too shabby, either. Second place earns you $200, while third place in each category walks away with $100 in art supplies! Think of all that could buy for your practice! It’s anyone’s game in the People’s Choice category, and sharing with your voters is super easy! Just click on the Facebook or Twitter icons at the bottom of your submission on the gallery page to share a direct link to your piece. Or, copy the link into your Twitter or Facebook post from the Post-Entry page. TIP: Be sure to share your piece on social media each day to get more votes. Facebook users can vote once a day until the competition ends! The competition runs through Monday, November 5th, 2018 at 11:59 P.M. MST. And, our winning artists will be announced on Tuesday, November 6th. For official rules of entry, please visit our competition page tab on Facebook. UPDATE: We received an overwhelming amount of great entries this year. Because of this, it is taking more time than anticipated as we go through all of your incredible artworks. To give each artwork the attention it deserves, we will now be announcing the winners of the contest on Thursday, November 8th. Ready to enter? Submit your piece here, and start getting eyes on your interpretation of this important issue! See who won our latest Instagram contest celebrating the beauty of summer’s blues!